I guess you knew that coffee pods used in that jazzy coffee machine were NOT eco friendly? 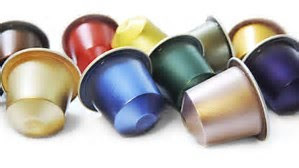 A huge amount of energy is used to make the 30p 'Nespresso type' pods and the process produces a lot of toxic waste and what's more, they are difficult to recycle, taking up to 200 years to break-down. So what is the answer? Well, a 'green' coffee pod is being launched to take on the George Clooney inspired aluminium Nespresso capsule. 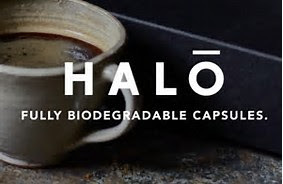 The pods, designed by start-up company, Halo, are compatible with all the Nespresso machines advertised on the TV by the US movie star. The £1 capsules (yes, £1! ), are made of natural fibres, including bamboo and paper and only take 90 days to biodegrade, compared to the aluminium pods that take 150 to 200 years. Halo claims that 20billion pods are made with aluminium or plastic every year - and three quarters end up in landfill, causing irreversible damage to the planet. What do you do with your coffee pods? Throw them in the trash with everything else?